Reversing drum concrete mixer is also named civilian concrete mixer and it is also a common type concrete mixer in our daily life. Though reversing drum concrete mixer is very easy to operate, users should notice daily operation in order to give full play to the benefits of reversing drum concrete mixer which also can prolong the service life and save the use costs. In the daily operation, operators must pay attention to the specification operation. In the operation of drum concrete mixer, make the clearance between mixing blades and the wall of mixing drum keep between 2mm and 3mm. If it is necessary, adjust the upper and lower position of mixing blades. It is of great importance to operate concrete mixer safely. Try to avoid strenuous vibration of electric motor, get far away from water and high temperature and dust elimination should be paid attention to. Before leaving the construction sites, turn off the switch and close the switch box. At last, the maintenance of drum concrete mixer. 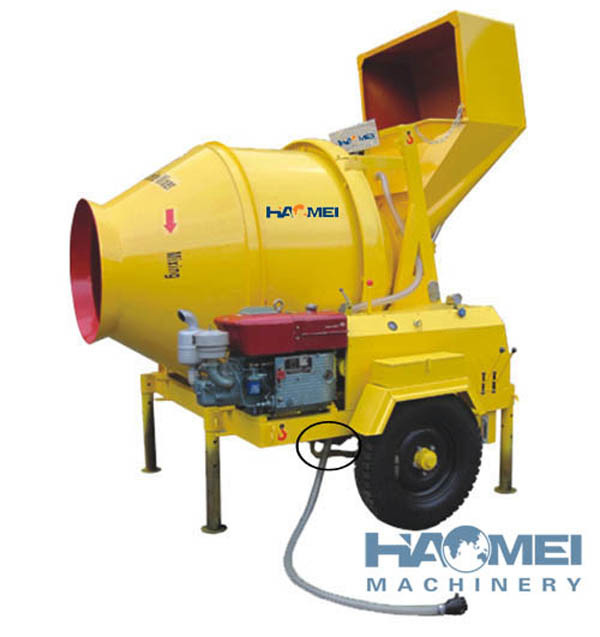 After using the drum concrete mixer, eliminate the mixing blades completely to avoid the remaining concrete in the mixing drum. Regular check the abrasion of components, replace old components, add lubricant oil, etc.